The mission of Safe Space Radio is to inspire courageous conversations, break down the barriers that divide us, and create compassionate communities. Founded in 2008, Safe Space Radio has broadcast more than 300 episodes and received numerous national and regional awards. Our two long-form specials, “Out-Takes,” on suicide prevention among LGBTQ youth, and “Still Here,” on caregiving and dementia, both broadcast nationally on 50+ public radio stations. Across Maine, our podcast is used in training programs for healthcare professionals, therapists, and teachers as they learn to address the needs of underserved populations. Can We Talk is our new four-part miniseries for Mental Health Awareness in May. The series explores subjects that are difficult to talk about through a combination of compelling stories and expert guidance, offering listeners practical tools for navigating challenging conversations. This series has broad audience appeal, with special interest for parents, teachers, and healthcare professionals. It is distributed in partnership with WBUR Boston. 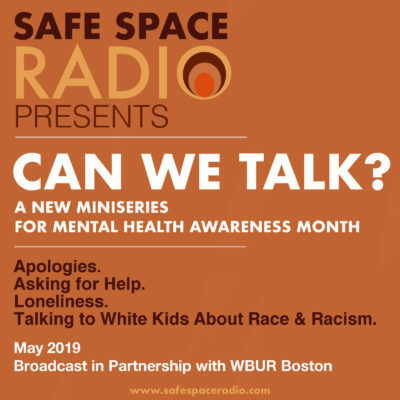 The first season of Can We Talk includes four hour-long episodes, Apologies, Asking for Help, Loneliness, and Talking to White Kids About Race & Racism. Dr. Anne Hallward is the host and founder of Safe Space Radio and a board certified psychiatrist in Portland, Maine. Anne’s interest in difficult subjects began in her teens, when she noticed how few adults around her seemed to be talking about intimate or taboo subjects. Formerly on the faculty at Harvard Medical School and Cambridge Hospital, she designed and taught courses on death and dying, cultural competence, sexuality, and psychiatric interviewing, and published on death and dying, cultural bias in medicine, sexuality, and causes of hunger in the Philippines and Bangladesh. Anne is the recipient of the Ulrich B. Jacobsohn Lifetime Achievement Award from the Maine Association of Psychiatric Physicians, the Jeanne Spurlock Social Justice Award from the Association of Women Psychiatrists, and an Exemplary Psychiatrist Award from the National Alliance on Mental Illness (NAMI). She has also been recognized for her work in radio with a Gracie Award for Best Host of a Local Radio Show. Anne speaks internationally on stigma and shame, traumatic silence, and voluntary vulnerability as a form of leadership. What makes you feel most alive? For me it is when we finally can talk about the thing we haven’t been talking about. That is such a thrill: it makes you feel that, yes! it’s going to happen, and things are going to change. Things will feel real. Read and listen to the complete manifesto here. Brit Hanson is Safe Space Radio’s Senior Producer. She is a graduate of the Salt Institute for Documentary Studies and has a background in public radio reporting and community organizing. Her work has appeared in the Washington Post, New York Times, Miami Herald, North Country Public Radio, St. Louis Public Radio, Omaha Public Radio, Life of the Law and more. Brit is the recipient of the Sigma Delta Chi Award for Public Service in Radio Journalism from the Society of Professional Journalists, the Best Digital Presence and Best Continuing Coverage Award from the New York State Associated Press Association, the Gabriel Award for New Media, and the Best Enterprise/Investigative Reporting (Region B) Award and Best Multimedia Presentation (Region B) Award from PRNDI – Public Radio News Directors Incorporated. Public service journalism is her life’s work. Dana Glass is Program Director at Safe Space Radio. Before joining the staff of SSR, Dana was a college English instructor in New Orleans, where she also edited a literary journal and taught creative writing in the prison system. Before that, she recorded hundreds of stories as a facilitator with StoryCorps and helped coordinate outreach and communications for their Historias Initiative. Sara Lennon, President, is a communications professional. Sara believes that honest story telling can change the world. Kevin Carley, Treasurer, is a Chartered Financial Analyst (CFA) and a Certified Executive Coach. He was formerly a partner at RM Davis Inc., the Executive Director of Maine Audubon, and a Peace Corps Country Director in the Western Pacific and the Caribbean. He is passionate about the growing diversity in Southern Maine, his wife, 4 daughters, 3 grandchildren, and spending quality time with his bicycle. Layne Gregory, Secretary, is a licensed clinical social worker who has spent most of her career working in the areas of public health and violence prevention. 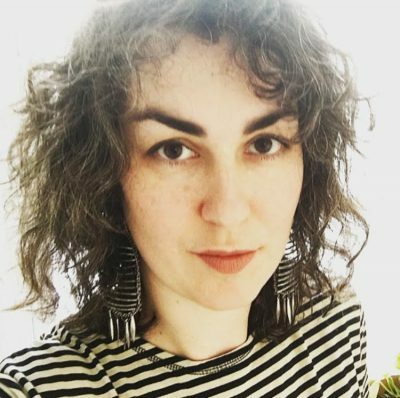 Donna Galluzzo was the executive director of the Salt Institute for Documentary Stories for 16 years, and continues to elevate her passion for storytelling as co-founder and co-producer of SoundBites, a live monthly storytelling series produced locally in Maine. 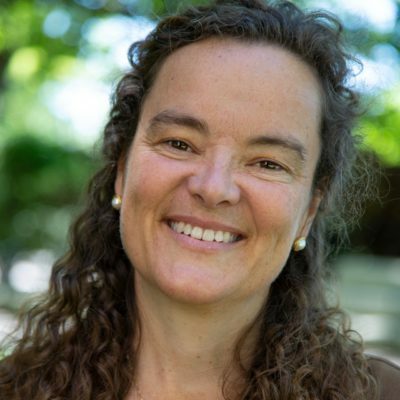 Laura Mazikowski, LCPC, practices psychoanalysis in Portland, ME, and teaches clinical seminars at Tufts Medical School and the Massachusetts Institute for Psychoanalysis. David Moltz, MD, is a psychiatrist who has worked for over 40 years with individuals with mental health challenges and substance use problems. He has seen first-hand the power of owning and expressing one’s truth. Joelle Rutembesa is a public health student with a special interest in mental health. She is originally from Rwanda, where she worked for CDC programs and with children with mental disabilities. Phil Walsh is executive director of Maine Initiatives.